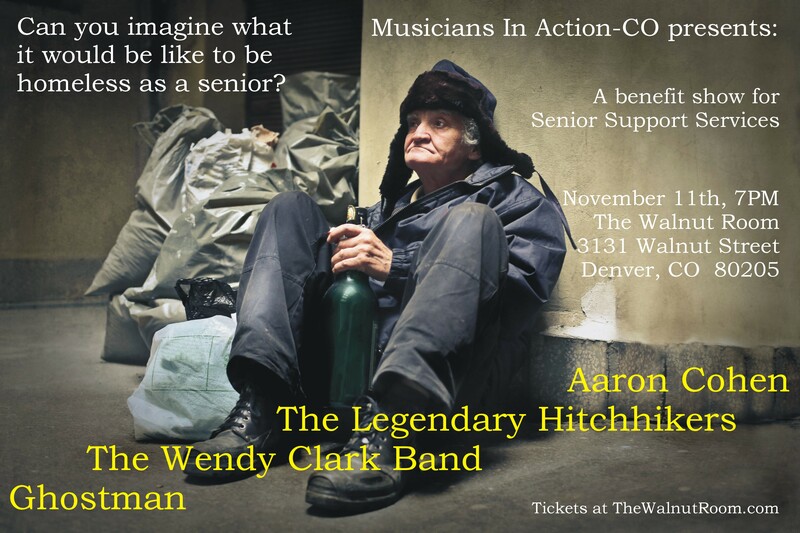 Musicians In Action-CO will be hosting a fundraising event for Senior Support Services on Friday, November 11th at the Walnut Room in Denver. Please join us for a night of fun local music and a most worthy cause. Doors open at 7pm and tickets are available at the Walnut Room ($10 in advance; $12 at the door). Senior Support Services is Denver’s only day center for homeless seniors. They provide three meals a day, case management, and a variety of other critical basic needs. Thanks for your support!